The black Eclipse 7-Bucket Console Workspace from Argosy accommodates the AVID S6 M40 or M10 Workstation components and allows you to create and expand the console to adapt to your needs. 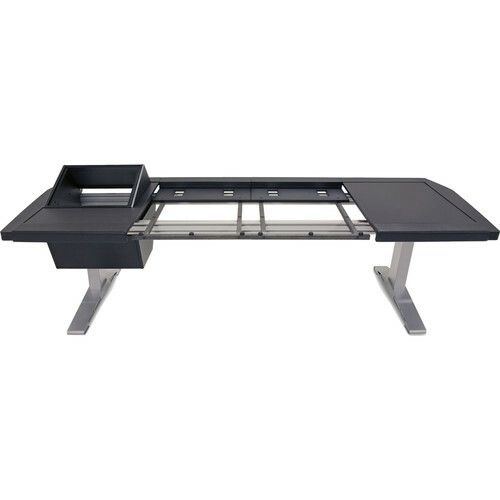 This workspace features a left side 8 RU and right side desk surface to create a centerpiece for your studio. Equipped with sleek steel legs and performance leather armrests, the Eclipse Workspace utilizes a modular and expandable aluminum rail system to allow the user to update the workstation system without completely replacing its technical furniture solution.